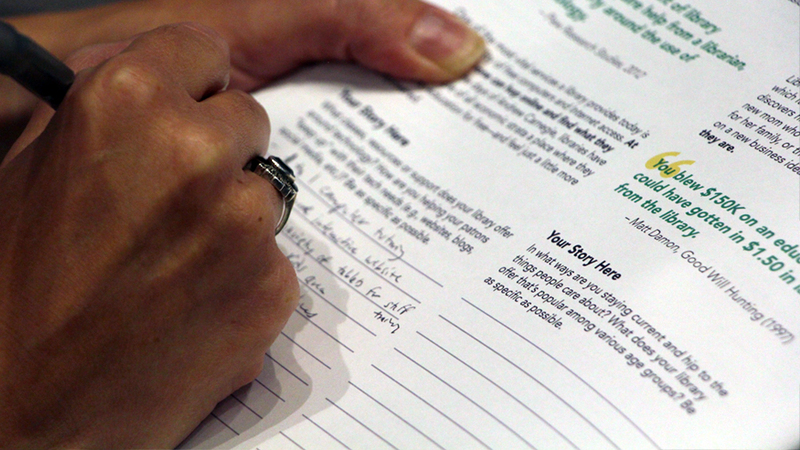 Empowering libraries to communicate their value in an increasingly digital landscape. Like many libraries, the Pennsylvania State Library system was struggling to effectively communicate their story, resources and value. The system was looking for a way to guide their librarians and administrators to consider new communications approaches to ultimately help librarians showcase their library adapting to the modern day needs of their communities. Leading the co-creative process and strategy, TYTHE designed and facilitated multiple visioning sessions with the library project team, conducting human-centered research to understand the current context as well as opportunities for the toolkit to align a future vision. The foundation of the toolkit content emerged from the information gathered through these co-creation sessions. Working with the library planning team, TYTHE uncovered the areas of excitement and hesitation of the librarians, allowing us to discern the types of activities and information that should be included in the kit and the sequence in which they should be presented. A round of prototyping content with librarians led to key feedback that allowed for the inclusion of more salient activities and the tweaking of existing content. In addition, TYTHE directed the graphic design and layout to create a compelling and navigable tool that branches across the library system could easily adopt. This included clean, intuitive worksheets, fluid sections, and custom-designed graphics illustrating key elements of the kit. 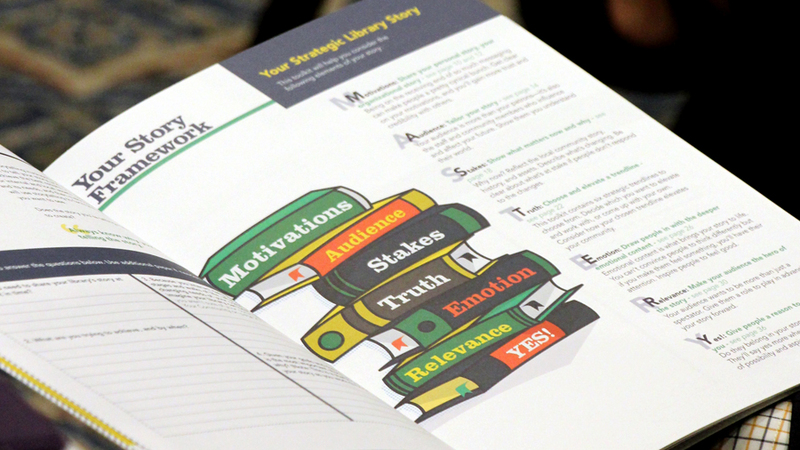 TYTHE’s co-creative process resulted in a fully functional storytelling toolkit for the evolving library community, using a collection of activities and frameworks to build their capacity. 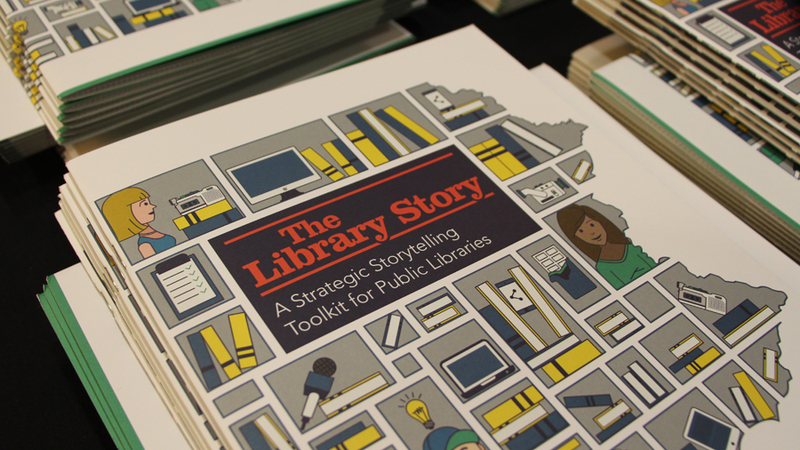 To date, toolkit has been distributed to all 474 Pennsylvania State Library branches. 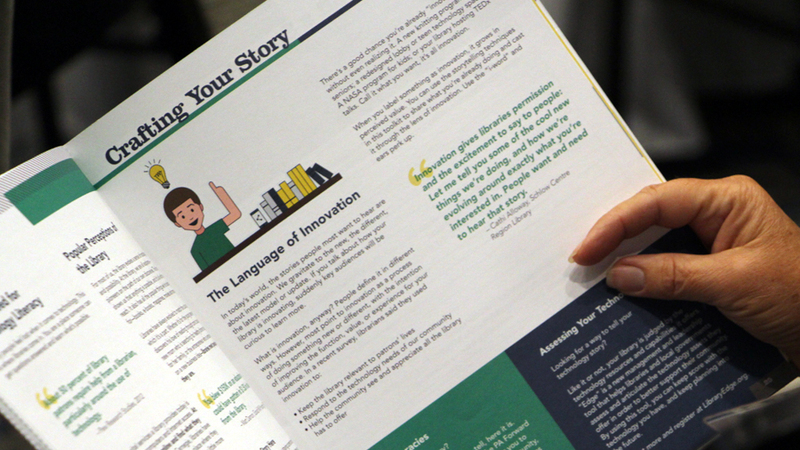 To ensure this toolkit didn’t sit on a shelf, TYTHEdesign and Get Storied traveled across the state providing full-day train-the-trainer workshops to around 300 librarians from both rural and urban parts of the state. Over 250 individuals in the library system provided input through TYTHE’s surveys and interviews, helping to clarify the current discourse, areas of disconnect, and opportunities resulting in a toolkit rich with user insight.